Whether you liked the play calling last week or didn't, whether you're a Danny Langsdorf fan or you're not, it's about that time in the weekly game cycle to put those thoughts aside. As the game draws near, it's not about how good Nebraska's play calling has been or will be, but, in a nuts-and-bolts sense, how good it has to be on Saturday. And, in my estimation, it's going to have to be pretty darn good to beat the Buckeyes. This feels like a big Langsdorf game. I know, I know. No coach would ever actually say that. It would always be about "execution" and "guys making plays," and that's all true, but I'm fascinated to see how Nebraska will go about attacking Ohio State. The three toughest nuts to crack in this game, in my opinion, are: 1) how good this Ohio State defense is right now, 2) if the Husker offense is healthy enough to exploit whatever weaknesses it may have, and 3) what sort of quarterback play Nebraska is going to get. There's no disputing Ohio State's talent defensively (or offensively or that matter), but recent results have been a little curious. Wisconsin, an offense averaging 337 yards per game in Big Ten play, put up 450 against the Buckeyes three weeks ago. Northwestern went for 406 last week. Both of those yardage totals are higher than what those same teams did against the Huskers. Statistically speaking, Ohio State's defense looks like one that is good on about 90 percent of plays and prone to costly busts on the other 10 percent. So how ready and capable is Nebraska of living in that 10 percent? That brings us to the other two unknowns. The injury report looks like you'd expect an injury report to look in November. The offensive line might without two starters on the right side. Brandon Reilly, a traditional deep threat, which is exactly what Nebraska needs in this game, might not go. Cethan Carter, if he plays, could be counted on to spark the run game if the specific injury he's dealing with didn't make blocking the toughest part of the job. 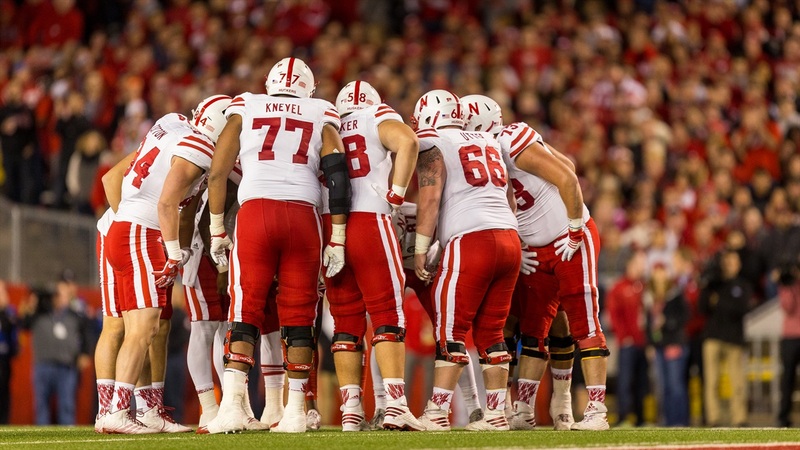 Not being able to get people blocked up front is a problem against any team, but specifically the one Nebraska faces on Saturday, which can roll fresh defensive linemen in and out all night. And, as the Huskers' offensive line play has reached subsistence level over the last month due to injuries, Tommy Armstrong Jr.'s play has sort of followed. How does Nebraska break that cycle? I won't claim to know, but these are the sorts of challenges facing Langsdorf on Saturday night and they are big ones. The Huskers' offense is probably going to have to game things a little bit. It has been trying to, really, since early in the Indiana game with varying results. And now it gets to try to do it against the best opponent it has faced in perhaps the toughest environment in the Big Ten. It's a fantastic challenge and a fascinating game for Langsdorf and Mike Riley from play calling perspective. While none of the above may have sounded that rosy for the Huskers, that's part of the reason why I can't wait to see how Nebraska tries to do it on Saturday night. Speaking of Langsdorf, he spoke with Brian Christopherson of the Lincoln Journal Star about the pressures of being the man with the chalk. Ohio State enters Saturday with some questions to answer of its own on offense. Penn State volleyball is looking to end a three-game skid tonight as the Huskers come to town. Heather Dinich of ESPN looks at the various playoff scenarios if Nebraska and/or LSU were to win this weekend.